AmPro Inspections offers innovative home inspection packages that accommodate every type of house and budget. 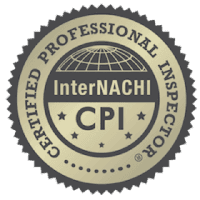 One of our certified inspectors conducts each assessment, thoroughly evaluating the basement, the roof, and everything in between. Our inspectors are certified to assess all of a home’s systems, including electrical, plumbing, and structural. To ensure we meet all your needs, we also offer additional services such as mold, pool and chimney inspections that can be added to your inspection package at a discounted rate. Home buying or selling is a stressful process. We understand and want to make it as easy and stress free as possible by offering customer service that goes far beyond just handing you a home inspection report! 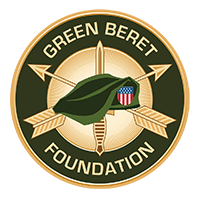 Just as I did in the military for 12 years, 10 of those years as a Green Beret, I strive for constant excellence and professionalism and will always provide you with the finest service possible! Radon is a dangerous radioactive gas that emanates from the breakdown of uranium deep in certain types of soil. Offers a structural and mechanical inspection that adheres to the criteria set forth in the InterNACHI Standards of Practice. Having to replace a sewer line is expensive and an incredible inconvenience. Knowledge of a crack can save you thousands. Mold inspections and testing aren’t always necessary, as some forms of mold can be taken care of with household cleaning products. Customer Service, Offerings, Quality, Timeliness Drew was professional, answered all of our questions. Customer Service, Offerings, Other, Quality, Timeliness The whole experience was awesome. Quality. Drew was easy to work with and answered every question. He made this process extremely easy. Professional, thorough, polite and explains his findings. Would happily recommend this company. Thanks for the excellent service! Professional, Thorough, Very Detailed and Best Price in the Springs…. Use Drew and American Professional Home Inspection for your home inspection! Including Pueblo, Castle Rock, Monument, Colorado City, and Manitou Springs. 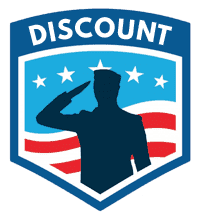 As gratitude for their courageous service to our community and country, a $25 discount is offered to all Police, Fire, and Military personnel. AmPro Inspections is a top home inspector in the Colorado Springs, CO home inspectors directory on Inspectopia.com.